Virginia is home to plenty of fun activities for tourists and day-trippers but living here allows for even more time to experience the natural beauty o f our great state. Every autumn, the fall foliage along the Blue Ridge Parkway and Blue Ridge Mountains of Virginia especially make our make the region of the country one of the most beautiful places to be. And the next few weeks will be prime time to experience the majestic beauty of Virginia’s fall foliage. According to the Foliage Network. 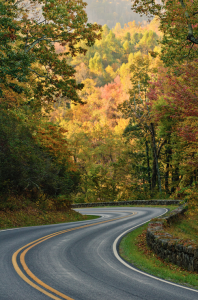 Spend some time taking a drive through the mountains, and find the route that’s perfect for you – we’ve found a list of scenic fall drives close to home!